RMRs serve a critical purpose. But as technology transforms the way we power our lives, we need smart policies that recognize the unprecedented array of new energy options. ERCOT currently is in the process of revising its rules, and Environmental Defense Fund has a few recommendations on how the grid operator can improve its approach to reliability agreements, so Texans can enjoy a healthier, cleaner, and more affordable energy future. About 15 years ago, Texas adopted a competitive electricity market. Power generation resources – like coal plants or wind turbines – compete to offer the lowest prices, and lowest-cost resources typically are placed on the grid first. But sometimes, ERCOT determines it needs a specific plant to remain online for a local reliability reason, like preventing a potential power line overload. Here’s an example: Take a coal plant built decades ago. For years, it provides reliable power at a reasonable price, but as it ages, operation costs rise. Meanwhile, cleaner, more affordable technology is introduced and begins to gain market share. Because that coal plant no longer operates at lower costs, Texas’ market conditions may force it to shut down. However, if ERCOT determines the plant is needed to maintain electric stability, it can issue an RMR to pay the plant an “out-of-market” payment to continue operating. These contracts can have significant impacts. “Out-of-market” suggests RMR agreements can interfere with competitive market pricing, potentially increasing costs for customers. An RMR agreement also keeps an otherwise-uneconomic power plant running that is, in many cases, old and fossil-fuel-based, meaning it will continue to emit harmful pollution into Texas air. However, ERCOT has a process to consider other resources, known as “Must-Run Alternatives” (MRA). In lieu of paying an uneconomic plant to stay open to ensure grid reliability, ERCOT issues a Request for Proposals for alternative solutions that can address the specific reliability concern. The Public Utility Commission (PUC) of Texas and ERCOT are considering potential revisions to improve ERCOT’s RMR process. 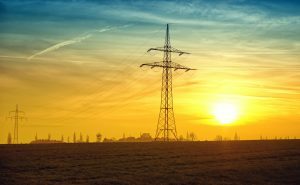 There are four ways Texas’ grid operator can alter its system to soften the potential negative impacts of RMRs. Include renewables: Renewable resources like wind and solar power should not be excluded from the RMR process. For example, if a closing wind farm will impact reliability, it should be eligible to receive an RMR, just like other generators. Eliminate the arbitrary savings requirement: In order to win an MRA agreement, there currently is a required $1-million minimum cost savings, meaning it must be shown that the alternative will result in at least $1 million in savings annually compared to the RMR unit – regardless of the size of the contract. In other words, $900,000 in customer savings is deemed insufficient. Rather than adopting an arbitrary number, EDF recommends that potential cost savings compared to the RMR agreement should be one of the criteria considered, but not an exclusive threshold. Consider environmental impacts: Although reliability should remain its top focus, ERCOT should consider how to minimize the environmental impacts of RMRs and MRAs. When evaluating potential MRAs, ERCOT should consider the extent to which a potential alternative may have less adverse environmental impacts than the RMR unit. Since generating electricity from fossil fuels creates harmful pollution, causing premature death and damaging the environment, the price we all pay for electricity generally does not reflect the “true costs” of producing it. Increase access for alternative resources: The alternative options, MRAs, should include demand-side resources like demand response, an innovative tool that rewards people and businesses for conserving energy during reliability events or times of peak demand. Distributed generation, including customer-owned solar and storage technologies, also should be on the table as potential MRAs. Market forces already are driving Texas toward a clean energy economy that can provide reliable and affordable power. But as the electricity market evolves, our rules and standards surrounding it need to, as well. We applaud ERCOT and the PUC for recognizing the opportunity to update the RMR process so when the next power plant retires, ERCOT has greater flexibility for maintaining reliability – powered by cleaner, more modern resources. This entry was posted in Clean Energy. Bookmark the permalink. Both comments and trackbacks are currently closed.